Elsa is co-head of the firm’s competition and antitrust practice. She regularly assists clients on complex antitrust matters, including merger control, global cartel and abuse of dominance investigations. 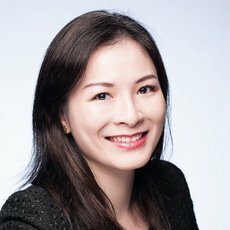 Elsa was recognised by Who’s Who Legal as ‘the top merger control practitioner in Singapore’ and ‘a leading name in the Singaporean market’, and was one of the only two economists named as a thought leader in North America and the rest of the world. Featured in the 100 elite women globally by Global Competition Review (GCR) in multiple Women in Antitrust peer-nominated surveys, Elsa was also named amongst the 10 competition economists globally in GCR’s Women in Antitrust 2016: Economists. A pioneer member of the Competition Commission of Singapore, now known as the Competition and Consumer Commission of Singapore (CCCS), Elsa has assisted on close to 90 per cent of complex CCCS merger reviews requiring commitments, including the first foreign-to-foreign merger with commitments (Thomson/Reuters) and the first CCCS conditional merger clearance requiring local commitments (SEEK/JobStreet). Elsa has assisted on drafting of legislation, codes, policies and regulatory regimes, including the merger control framework for the Airport Competition Code, the Media Market Conduct Code, and economic aspects of competition law in the electricity and gas markets.